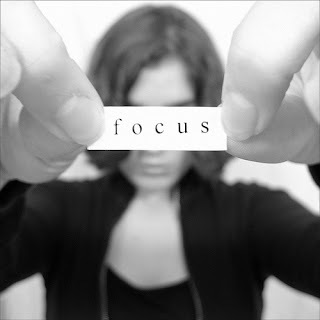 As adults, we know that staying focused is a struggle, especially with digital delights enticing us every which way. We often become so wrapped up in our own stress that we forget our kids are bombarded with distractions too! While they don't have bills to pay, they do have schoolwork to complete and friendships to build. Most of all, their biggest job is to play! Play is how they learn, socialize, explore, and balance consequences. So how can we help our kids focus in school and play? There are many natural, nurturing ways to promote focus in your kids. Getting on a good, regular sleep schedule is essential. This sets the foundation for other focus-friendly steps we can take! We want our kids to be successful, healthy, and happy; concentration is a primary ingredient! Have Enough Playtime: Your children need playtime. They need the freedom to release bundled up energy and explore their surroundings. They need to move! In fact, if you believe in ADHD, it's scientifically proven that exercise eases symptoms and fortifies focus! So, the ideal time for children to engage in academic learning is after they play their way to a clear head. Keep a Healthy Sleep Schedule: Having a healthy, consistent sleep schedule is crucial for optimal focus, both for adults and kids. When you didn't get enough sleep the night before, it's tough getting through your workday, right? It's no different here! Have the whole family power down at least half an hour before sleepy time. Rest and reflect! Pay Attention to Nutrition: We are what we eat. That's why it's so important for your kids to eat clean, wholesome foods. The right nutrition fuels their mind just as much as their body. Slash refined sugars (and artificial sweeteners), food coloring, and preservatives from their diet. Challenge them to consume a complete rainbow of fruits and veggies daily. Boost omega-3 intake by introducing nuts, salmon, and olive oil to the dinner table. Yum! Get Rid of the Clutter: Clutter pokes our brains and hijacks our train of thought, sometimes without us even realizing it! It may be hard for a child to focus if the floors of their rooms are more toys than carpet. Encourage the comforting routine of returning objects to their rightful place once playtime is over. This removes distractions and refreshes the mind so it can pursue the next task. As a family, figure out ways to cut clutter and promote a free-flowing environment. Put Rules in Place: When your children are doing their homework, set some basic ground rules that everyone follows. Before getting to work, encourage your kids to unwind with a healthy snack and playtime. Try to establish a solid routine; homework is done in the same (clutter-free) room at the same time every night. Take this opportunity to also settle down with a learning activity, such as reading or crossword puzzles. You'll set a erudite mood and guide by example! Keep the Electronics Away: We all struggle to win the mental battle against the glowing sway of electronics. But let's face it; unless they're out of reach, we're bound to get sucked in. So I urge you to spark a family movement towards healthy tech usage. When an activity or interaction deserves full attention, set aside the devices. This includes homework, dinner, and family movies. I know this is far easier said than done, but just strive to detach a bit each day. Start Reading More: One great way to help the kids develop a robust attention span is to promote reading. A good book can enchant the mind and sweep it away for hours. Reading introduces your kids to new ideas, swashbuckling characters, and endless possibilities. They will be able to make connections and explore different perspectives, which is essential for learning and creative endeavors! Set a Good Example: It's far from easy in this fast-paced, hyper-connected world, but we need to try to just BE with our kids. Offer them constructive feedback on their work, disengage from devices while conversing, and focus on building your own ability to stay on track. Kids learn best through example. Offer Praise: If you're proud of your kiddos for a job well done, let them know! Acknowledge all of the effort and time they've given. Tailor the compliments to their personality. For example, if your daughter poured her heart into a new painting, try, "Your creativity and hard work really shines in this artwork!" This will help them associate success and confidence with determination. In what ways do you help your kids stay focused? How do you stay focused as a parent and a professional? I would love to hear your ideas!